It’s been awhile since I’ve shared any tea on Writing Whimsy and I picked up two of my returning summer favourites and wanted to share these delicious iced tea options with you as the weather starts to warm up! 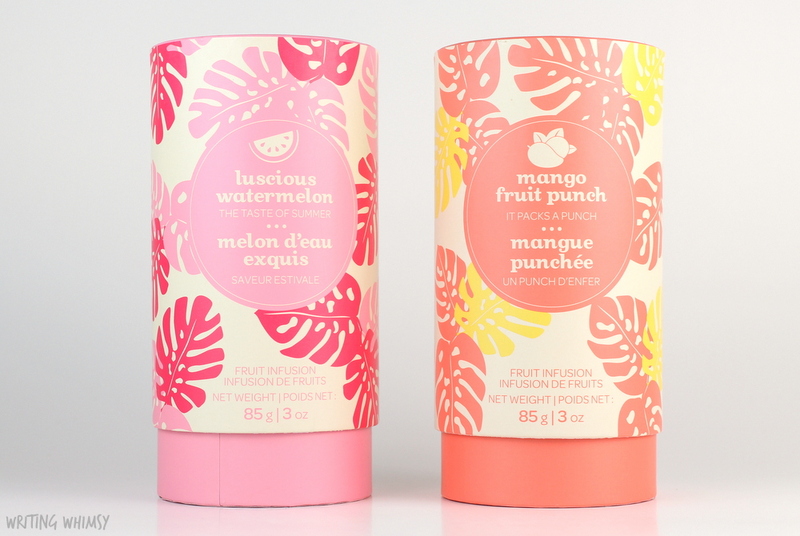 Today we’re talking about DAVIDsTEA Luscious Watermelon and Mango Fruit Punch teas. 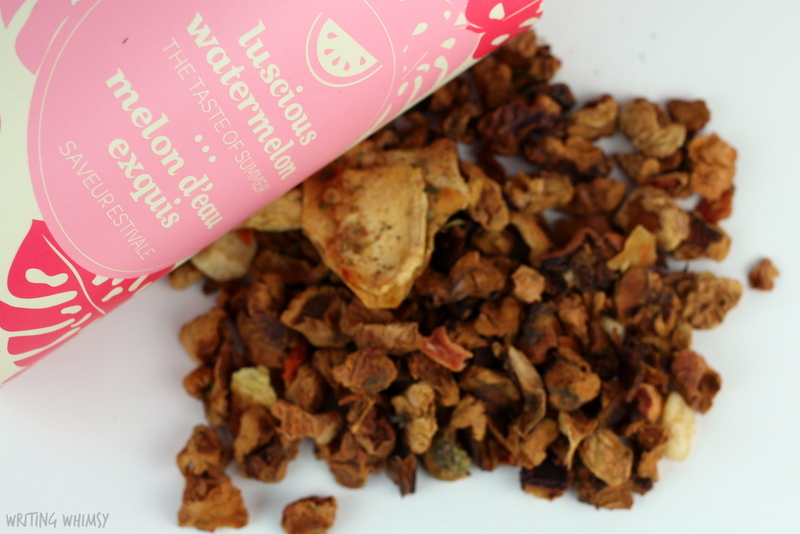 DAVIDsTEA Luscious Watermelon is a juicy watermelon tea that honestly still really tastes like watermelon juice despite an ingredient list that starts off with apple and carrot, like as a filler. 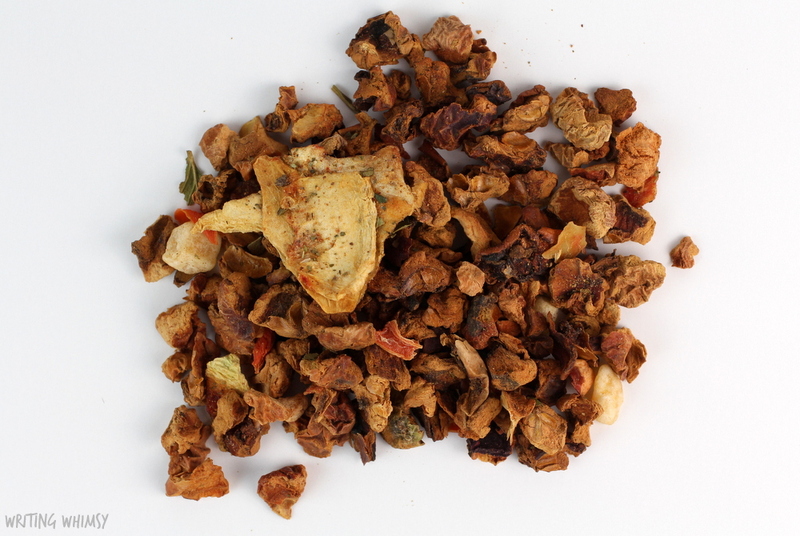 It’s still juicy and sweet warm, but I’m absolutely hooked on drinking this tea iced. I loved it so much last summer I picked up two tins right away this year! It’s refreshing, light, caffeine-free and doesn’t taste artificial to me, which is often a problem with watermelon anything. Yum! 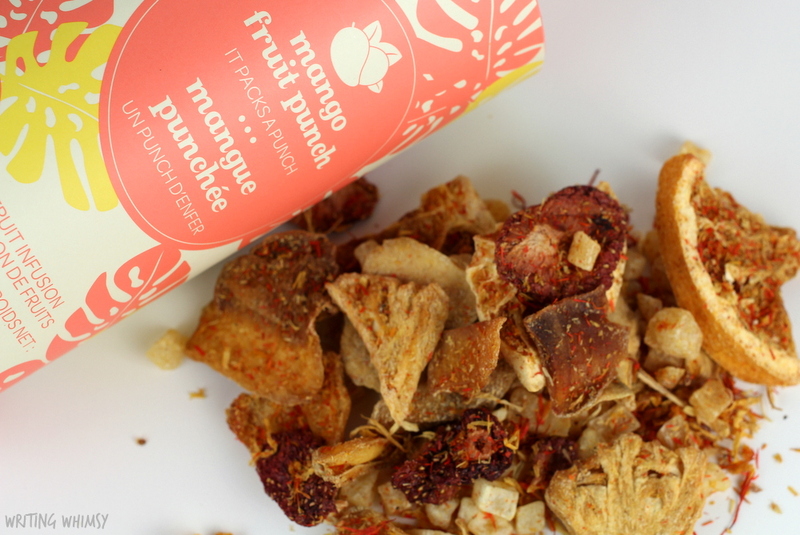 DAVIDsTEA Mango Fruit Punch is another returning favourite of mine that makes a delicious iced tea. This one is filled with huge chunks of fruit including pineapple, mango, orange peel and slices and tangerine. 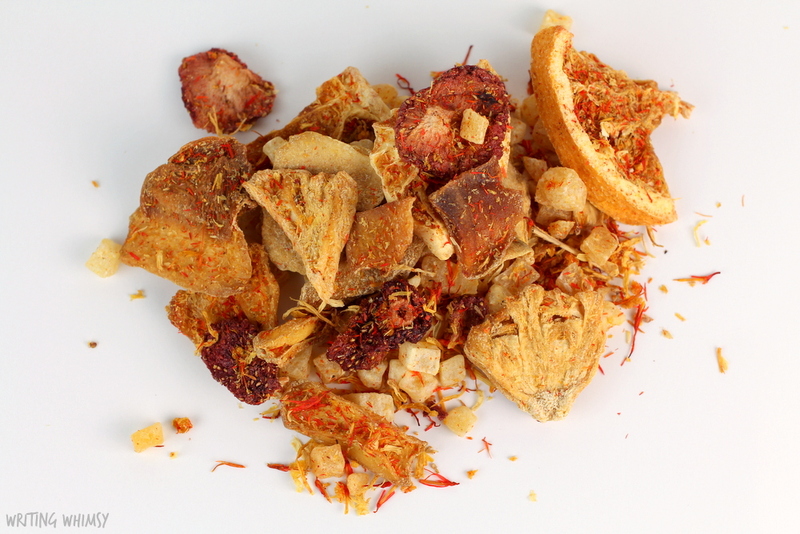 This caffeine-free tea is refreshing, juicy, and the only sad thing is that all that fruit is awfully heavy which makes this one a bit more expensive to purchase. 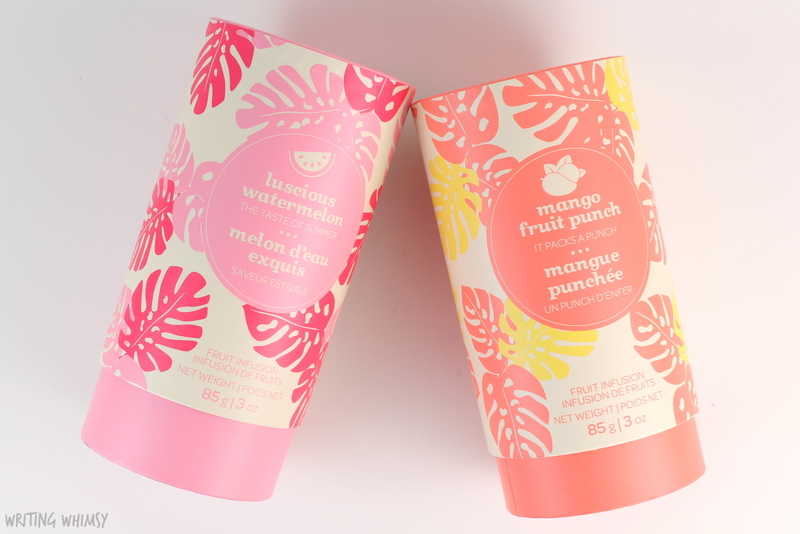 This has enough sweetness for me without adding anything else and the end result is a delicious fruit punch true to its name. Do you drink iced tea? Let me know if you have a DT iced favourite!